Google has revealed its intent to use page speed as a ranking factor for mobile searches starting July 2018. Although speed has been used in ranking for sometime, the signal was focused on desktop searches not mobile. Google has referred to this as the “Speed Update”. It will affect pages that deliver the slowest experience to users and will only affect a small percentage of queries. It applies the same standard to all pages, regardless of the technology used to build the page. However, the intent of the search query is still a very strong signal, therefore a slow page may still rank highly if it has great, relevant content. 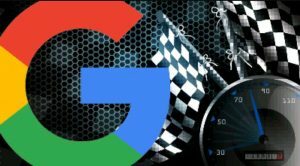 “We encourage developers to think broadly about how performance affects a user’s experience of their page and to consider a variety of user experience metrics,” Google said. 1. Chrome User Experience Report; a public dataset of key user experience metrics for popular destinations on the web, as experienced by Chrome users under real-world conditions. 2. Lighthouse; an automated tool and a part of Chrome Developer Tools for auditing the quality, performance, and accessibility of web pages. 3. PageSpeed Insights; a tool that indicates how well a page performs on the Chrome UX Report and suggests performance optimizations.